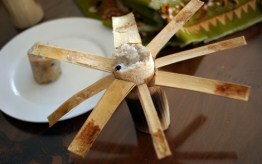 Kralan is made from rice mixed with beans or peas, grated coconut and coconut milk, palm sugar and sometimes sesame. 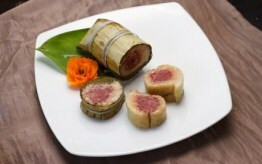 The mixture is contained in a pole of bamboo and slowly roasted over charcoal for about an hour. 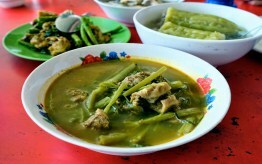 Eating this dish, tourists will feel the flavor of rice accommodated with special smell of bamboo, as well as the sweet of coconut milk. 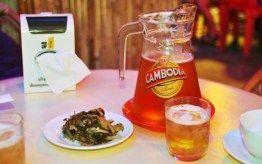 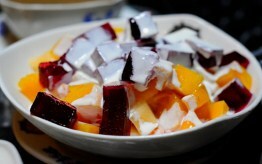 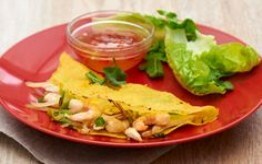 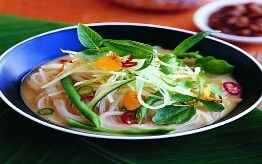 In Cambodia, people usually make and eat kralan at Chinese New Year and Khmer New Year. 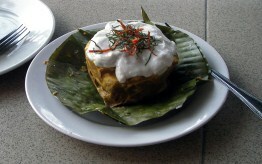 The tastiest kralan is found in Thma Krae village of Kratie Province. 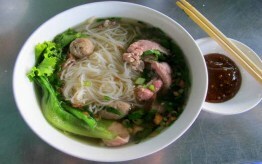 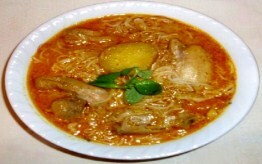 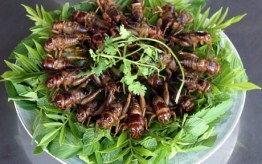 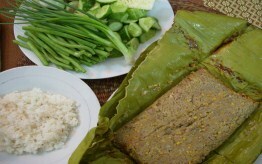 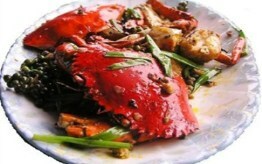 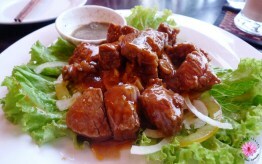 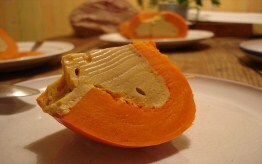 Kralan is also traditional food of some ethnics in Laos and the Northwest of Vietnam.